Gorgeous Twelve Bridges Solar home now available for rent in Lincoln! This is a ideal home for entertaining family and friends with an amazing floor plan that includes vaulted ceilings, travertine flooring throughout the downstairs, an amazing gourmet kitchen with granite counters, tons of cabinets and a huge center island. Solar home will significantly reduce your energy costs year round which makes this a very desirable home with the rising energy prices! This home has a formal living, dinning & family room , a downstairs bedroom and full bathroom. Upstairs there is a huge master bedroom/bathroom, 4 additional bedrooms and a large bonus room plus a an additional sitting area over looking the formal entry. 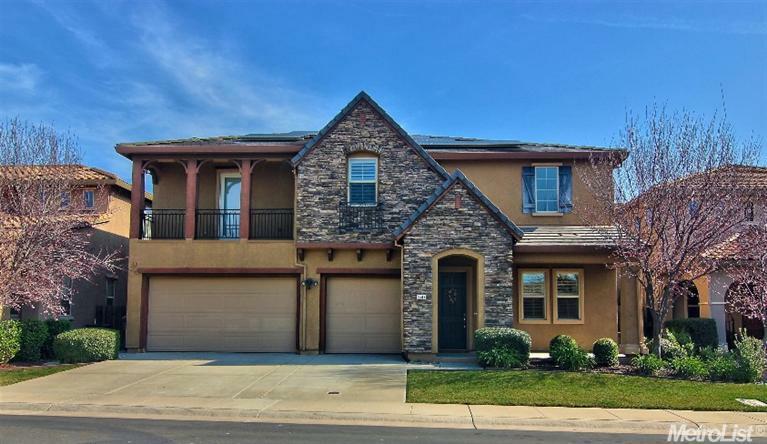 This 4,015 square foot single family home has a total of 5 bedrooms and 3 full bathrooms. This home is walking distance to Twelve Bridges Elementary School. The backyard is very private, with a large grass area and concrete patio. 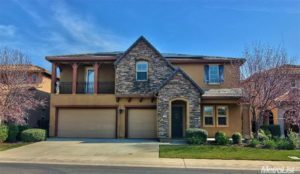 This home is located on Pennefeather Lane with the nearest major cross roads being Eastridge and Twelve Bridges Dr.